So for windows user which want to have application like GarageBand, you can use an alternative program such as MixCraft Pro Studio 5 from Acoustica. MixCraft is multi-track recording software which easy to use to record audio, arrange loops, remix tracks, compose with virtual instruments, score and edit video, add effects to create stunningly professional compositions. 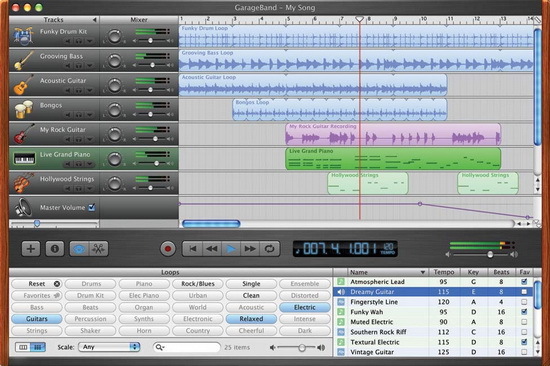 Like GarageBand, MixCraft Pro Studio is really easy to use, and from the interface is also similar to GarageBand. It might be easy to use, but MixCraft Pro Studio can also be use for professional level and have many other professional functions which can be used to make recording with professional quality. If you have ever used GarageBand before you will instinctively know the Mixcraft Interface. They are almost identical. Mixcraft is a multitrack audio mixer / recording studio with effects, featuring Reverb, Delay/Echo, EQ, Compression, Flanger and Chorus, as well as resonant filters and a powerful loop editor. The high performance 32 bit sound engine supports broadcast quality WAV files and will even import compressed MP3, OGG & WMA files. Use it to record your own music, your band or even a remix for a dance recital. 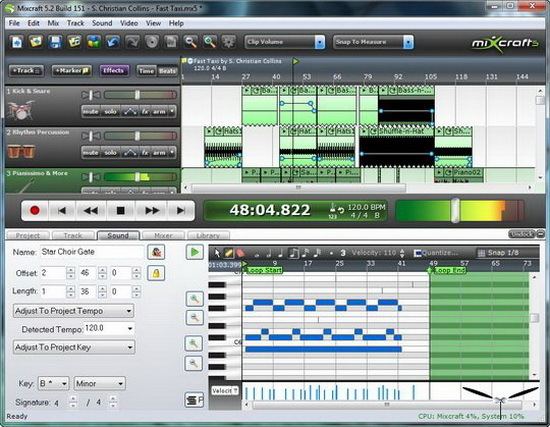 Mixcraft is arguably the closest alternative to GarageBand for Windows PC users who like GarageBand for Mac OS X. 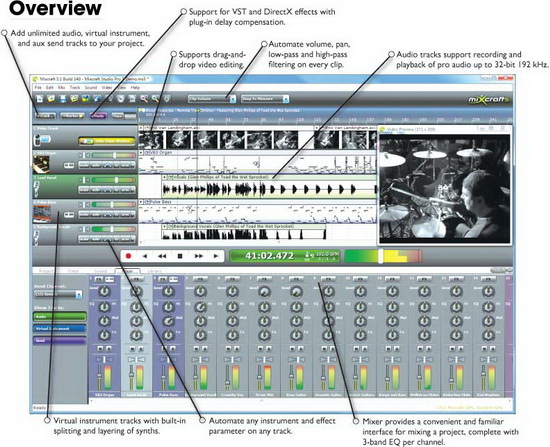 Record and create an unlimited number of audio and MIDI tracks. Arrange and score video files, adding music, sound effects, and voice-overs with ease. Includes over 3000 professionally produced music loops and sound effects. Includes a large collection of virtual instruments, ranging from modelled vintage synths to high-quality sampled acoustic instruments. Includes 22 high quality effects, ranging from studio standards such as reverb, chorus and EQ, to high-end guitar amp simulators, vintage tube EQs, and more.